Over time I get many of the same questions from customers about the products I sell in the shop. I love helping people and end up spending quite a bit of time answering them individually which isn’t the most efficient use of my time. So, I’m going to get better organized and post some of the answers to the most asked questions here. A link that can be shared and answers that are easily Googled. So here we go. Dan…How do I process this lump of Labdanum resin into a perfume ingredient or a grooming product? Well. 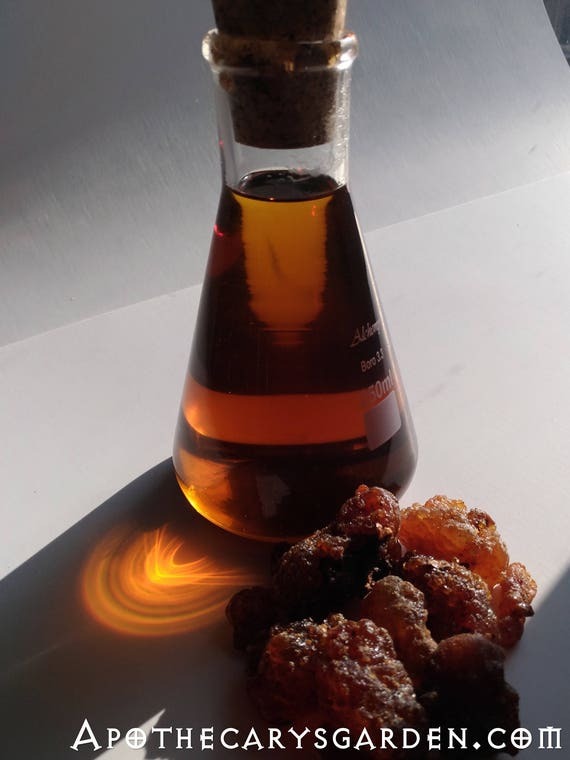 Labdanum resin has been used for perfume, incense, medicine and beard grooming for literally thousands of years. The recipe for the Temple incense, “Ketoret”, of the ancient Jews is thought to incorporate Labdanum under the name “Balm of Gilead”. The tightly coiffed and curled beards depicted on Gods and noblemen in ancient Mesopotamian stone art are believed to be based on the use of Labdanum resin. It is thought that in the distant past sheep and goats were driven through the sticky bushes to accumulate fragrant Labdanum resin which could be collected from their coats. The depictions of these beards are so stylized, it led us to theorise our ancestors stuck pieces of this aromatic animal hair on their faces. In my opinion, they were much more sophisticated than we assume and easily processed the pure Labdanum resin out of the leaves or the animal’s fur with warmth, hot water or warm oils to create products that were not only sensuously aromatic but allowed them to create intricate and artistic designs with their facial hair. Labdanum, like many other resins, acts as a perming agent and when applied to hair will set it and keep it in the desired style long after the resin is gone. In royal tombs of ancient Babylon, Sumer, Assyria and Akkad were found combs, bits of ribbon and wire that are believed to have been both decorative elements and tools for shaping the beards. Sleeping with a beard braided with a bit of Labdanum at night will give one beautiful tight ripples for days after the braid is opened. Even after washing and combing. The danger is, of course, one will accidentally sleep with the beard tucked up behind one’s ear and spend those next days trying to straighten it out. There are two main types of Labdanum available on the market. There are other “Labdanum” products such as Labdanum and Cistus essential oils but these contain no resin and are easy to use as fragrance ingredients I won’t address them here. 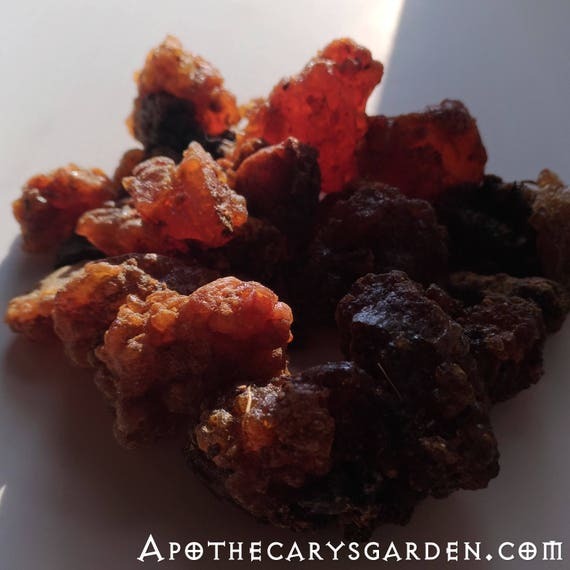 The Labdanum resin and resinoid have slightly different fragrance profiles, the resin being a little muskier, bolder, and spicier than the liquid resinoid which is a little sweeter. Both contain resin and essential oils and both work well for beard grooming and shaping. I have heard Perfumer friends give detailed descriptions of the scent of Labdanum resin, finding in its fragrance the scent of Mediterranean Sea breezes, the aroma of the summer-hot Cretan soil, hints of nearby wildflower essential oils, pollen and stray butterfly wings that are all drawn to the sticky leaves on the hottest of days. If you have the liquid resinoid of Labdanum, it is simple to dissolve it in alcohol for perfume use and in oil for other applications. Warm oil tends to work best. 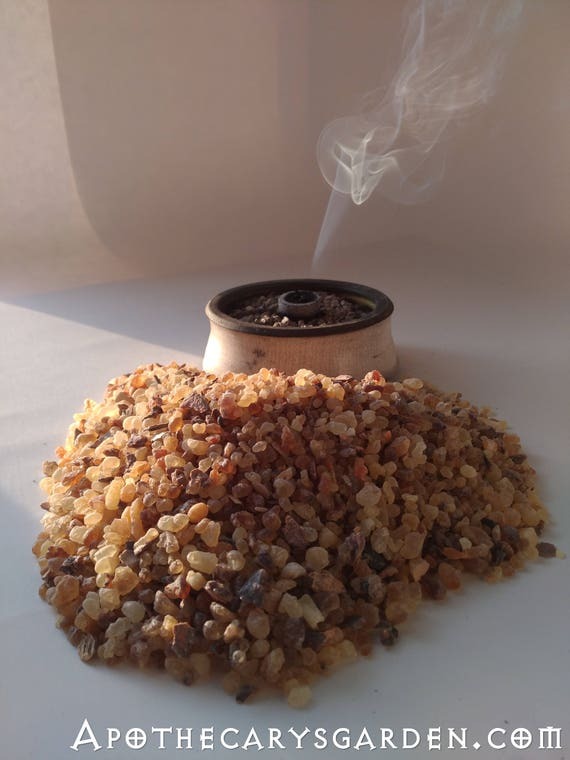 If you purchased a lump of Labdanum resin from Crete, it is also simple to process but requires more warmth. For this I suggest a water bath. A simple Bain Marie could consist of a pot of water and a mason jar clamped to the inside and suspended halfway in the water. Hardware stores offer a variety of suitable spring clamps. It is important to use a water bath and not direct heat or a microwave oven. These offer little control over the temperature. Besides the issue of flammability and flash fires, the smallest amount of burnt material will spoil the whole batch. The water bath is an ancient piece of technology and a reliable thermoregulator that works just as well now as it did a thousand years ago. Again, the ancients were much more sophisticated than we like to think. Weigh your lump of Labdanum, place it in the jar and add an oil of your choice at 3-10 times its weight. A 1-10 ratio will give you a fragrant but less potent oil and a 1-3 a stronger smelling product. You can always start with 1-3 and add oil till you have the strength of fragrance that suits you. Bring the water to a boil, stir the Labdanum and oil till the Labdanum is completely dissolved. Remove when you are satisfied the Labdanum will break down no further. Some people let this mix sit 4-6 weeks to extract all the fragrance compounds from the resin, others simply let it sediment well and pour off the liquid. Your choice. You can pass the liquid or the sediment through a pillowcase with a tight weave to rescue any oil left in the spent resin. This beautifully aromatic oil can be used in oil-based perfumes and skin care products though it can be applied to the hair and skin directly and is one of the most attractive fragrances I know of for facial hair. Literally. It seems to draw people in. Like a people magnet hidden in your beard. If you chose an oil with hair or skin nourishing qualities that is great. If not, your Labdanum oil can be blended with other hair or skin nourishing oils or with a bit of Lanolin or beeswax, (In the water bath), to create a beard balm. Depending on the oil you used this product will keep anywhere from 2 years, (Olive oil) to indefinitely, (Jojoba, Fractionated Coconut Oil). Metal mesh coffee filter works well for filtering hot resin/oil blends. To use Labdanum in an alcohol-based perfume use 95%-96% alcohol at the same ratio as above. To make a more concentrated tincture I suggest a twofold tincture rather than trying to tincture the Labdanum with a higher ratio of Labdanum. If you want to make a moustache wax with Labdanum resin, dissolve the resin in hot wax in the water bath and adjust the product’s hardness and texture by slowly adding small amounts of oil, cocoa butter, lanolin or other oil-soluble materials of your choice till it meets your satisfaction. Have a plate or other clean room-temperature surface handy to do numerous drop tests to fine-tune the consistency and hardness of your moustache wax. When it is ready, you can pour the liquid wax/resin mix through a metal mesh coffee filter into a measuring cup and either reheat the filtered product in the water bath again for fine-tuning or pour it from the measuring cup into tins or jars for use. And as always, remember to keep clear notes. Unfortunately my supplier only carries the 110 volt burners. I assume 240 volt units are also produced but it may take some research online to find than. When I formulate with Labdanum I like to use Moringa oil, known to the ancients as Ben oil. Its high antioxidant levels bestow a long shelf life, and this adaptogenic oil is nothing short of miraculous for use on hair and skin; I prefer it to Argan oil. For me, Labdanum and Moringa resonate, as if they have been used together in this way for millennia. Thanks, Dan, for sharing your knowledge and for offering such high-quality products! I have never used Moringa oil but after reading your testimonial to its attributes and benefits I will have to order some and experiment with it. Especially as a carrier for Labdanum! Oh yay! You’re going to love it! Dan, most of the Moringa oil on the market has been adulterated but I discovered recently that Appalachian Valley Natural Products carries high quality cold pressed Moringa oil and they will sell in larger quantities. I have no ties to this supplier, I just like their product and appreciate their integrity. I’d love to hear your thoughts about Moringa oil once you’ve tried it! My first thought, knowing you and given your artistic background, is that you would enjoy exploring the creative world of Natural perfume making or Aromtherapy. I would be happy to set you up with some materials and teach you the basics. There is also a Natural perfumer, Noelle Smith, in Dundas who would be open to teaching, especially small groups if there was enough interest. Food for thought?? Since I have already introduced Noelle, I will add that she has a shop in Dundas named Elle Noir in the old Post Office building. She carries an extensive selection of products that she makes herself. Can you please contact me via email John? -dnriegler@gmail.com. I don’t have your email address. Thank you for this article and research! Labdanum has been my secret scent in most my blends ever since I discovered it years ago as I’ve been intoxicated by it from the moment I smelled it. Do you have suggestions on perfume bases? I keep ending up with way sticky end product or too weak a scent. Yes, it’s definitely a people magnet! Intoxicating is an excellent description of how Labdanum affects me as well! When I want a stronger scent of labdanum in a product I will often dissolve the resin in the resinoid. this usually isn’t too sticky when used in an alcohol based perfume. I use this as a base for personal beard dressings and play around with different essential oils. Currently I am exploring the combination of Labdanum with Allspice, Clove, Castoreum and musk. Also, I use the very inexpensive Amyris essential oil as a base and carrier oil. I dissolve the Labdanum resin into the Amyris in the water bath and get a concentrated, richly aromatic fragrance that isn’t limited by stickiness. I love your beard recipes, Dan.